I’m at it again. Here’s my latest plugin, prettySociable. 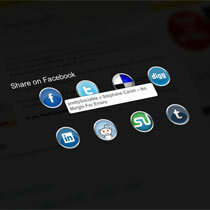 It’s meant to make sharing easy while being fun for the user. It was inspired by the sharing on mashable.com. Come back soon for a wordpress plugin, a friend of mine is working on it. Feel free to leave you comments here, or on the forums. Hey nice work, looks great. BTW you can use our backend if you want; it would let you do the same cool stuff on the client side (nothing to do with addthis) but not have to worry about the URLs for the different services. Beta API should do what you need: http://www.addthis.com/help/sharing-api. Hit us up in the forums if you are interested or need any more info. Again, nice work. Thanks for the nice comments. I didn’t know I could use add this as the sharing service. I didn’t even know you guys had an API. I’ll certainly look into it as there are a lot of social sites I don’t cover and you cover most (if not all) of them. I managed to get it working, but now there seems to be a problem if you scroll slightly down the page and try to hover over one of the sharing links – the image/shadow/drag to share stays where the link was originally (before scrolling) if that makes sense? example: the quote, when the page loads put your mouse over it, then slightly scroll down a bit and hover the mouse over it again, you’ll see the highlighted container appears where it was before you scroll even though the link has moved..
@Leanne: Seems to be working for me. Can you take a screenshot so I can see this happen? I have the prettyphoto plugin available on my wordpress site – does your friend also do a prettySociable plugin too? I would really like to implement this onto my site (which I am developing at the moment). If you could let me know ASAP I would really appreciate it. Get appnana hack from here. Now it’s hard to imagine the Internet without Flash. This multimedia platform has literally flooded the worldwide network. 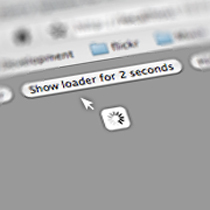 Wherever you go, no matter what site you visit – everywhere is Flash. It is not possible to unload the processor by activating hardware acceleration, since this function does not work correctly, which is the cause of FPS instability, therefore, you can replace the Flash player only by downloading individual players.